Wow, those laws readlly do fit well with software development! 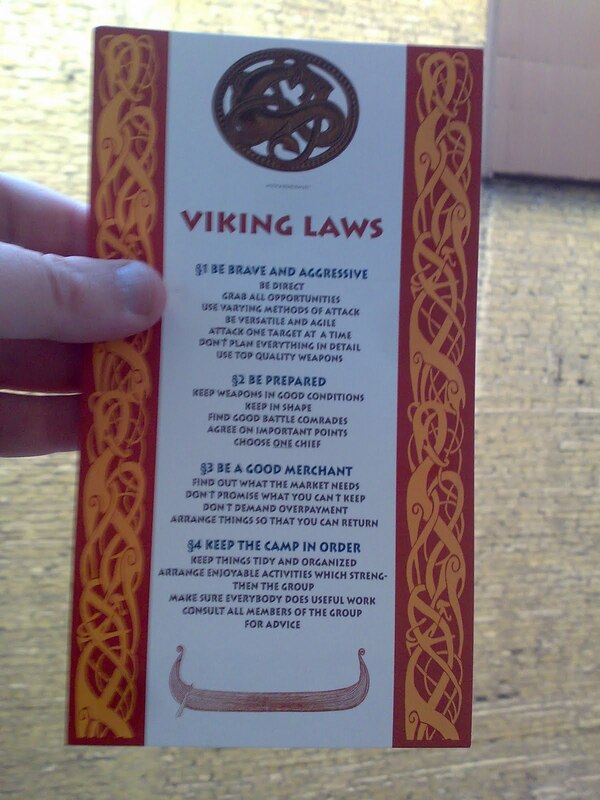 Who knew that the Vikings learnt all the same lessons as we do? I have seen the postcard, and I saw the similarities with agile software development. The only problem, though, is that the vikings ceased to be successful. In other words: they do not rule the world, and they were eventually beaten. 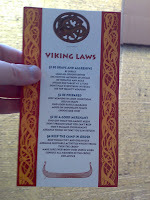 So the question is: What is more efficient than the Viking Laws? @Alf Kåre Lefdal I was thinking the same, but then I thought that is there any empire that have lasted? So is it more like characteristic of empires, that they cannot sustain themselves? I think fighting in battle requires much more true cooperation and helping each other. Todays work environment in a big firm does not reflect a battle field (even though it might feel for you like it). The firm is fighting for survival, however the individuals are mostly not. I think that is the advantage of smaller firms in which more (or even all) of the employees do have this fighting spirit.